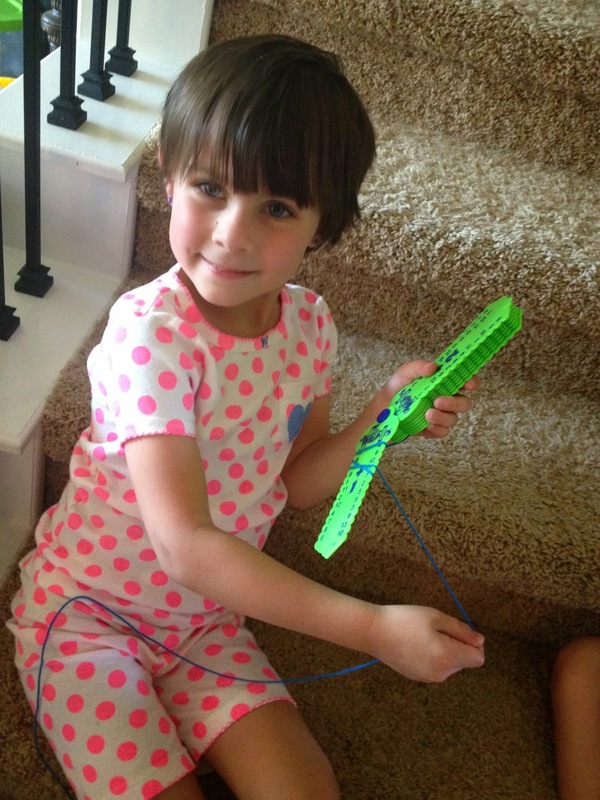 We love hands-on learning at our house so we were excited to receive multiple products from Learning Wrap-ups! We received a box full of fun things for my crew, which included: 1st Grade Math Learning Palette 1 Base Center Kit, 1st Grade Reading 1 Base Center Kit, Learning Wrap-up Basic Math Intro Kit, Learning Wrap-up Vocabulary Intro Kit, 10 Days to Multiplication Mastery Book, and 10 Steps to Addition Mastery Book. Learning Wrap-ups produces hands-on learning products to teach kids math and language arts concepts. Some of their products include Learning Wrap-ups which are made of hard plastic and shaped like a key. The goal is to match the question with the correct answer on the opposite side of the “key” by wrapping a string around the key. Another product offered by Learning Wrap-ups is the Learning Palette which is a large wheel with multicolored circles that can be placed in grooves around the circle. You can purchase curriculum cards to place on the palette which ask questions in a variety of subject areas. 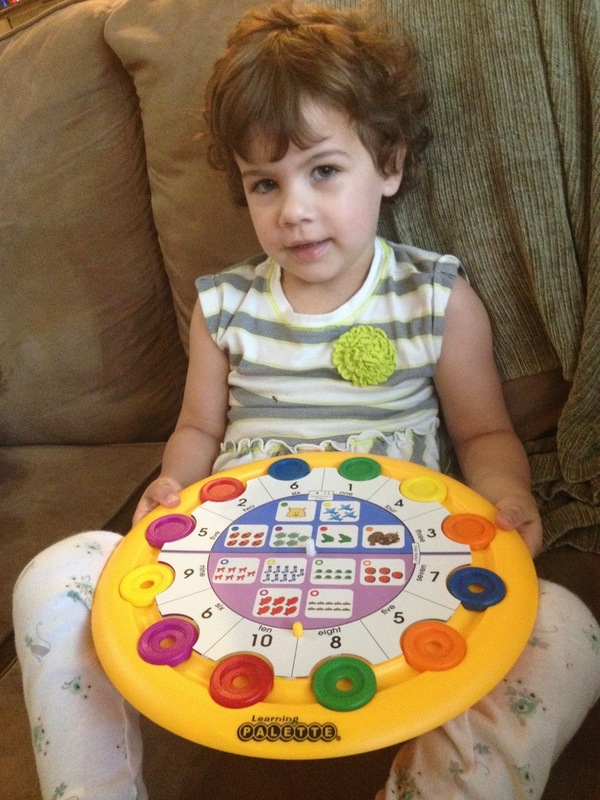 The child then matches the correct color of circle to the question. The cards can then be turned over to check answers. 1st Grade Math Learning Palette 1 Base Center Kit contains one learning palette and 6 curriculum packs that have 12 activity cards each. This level covers topics such as Numbers 0-100, Intro to Addition and Subtraction, Money, Measurement, and Geometry. 1st Grade Reading 1 Base Center Kit contains one learning palette base and 5 curriculum packs that have 12 activity cards each. This level covers topics such as Blends, Reading Comprehension, Nouns, Verbs, Adjectives, Vocabulary, and Phonics. Learning Wrap-up Basic Math Intro Kit is a set of Learning Wrap-ups that contains 5 different wrap-ups. The topics covered are addition, subtraction, multiplication, division, and fractions. Each wrap up has a set of 10 plastic cards (or keys) held together so they can be fanned out. The top key has all the facts with the correct operation and 1. Each additional key has the facts with subsequent numbers so that all facts are represented. 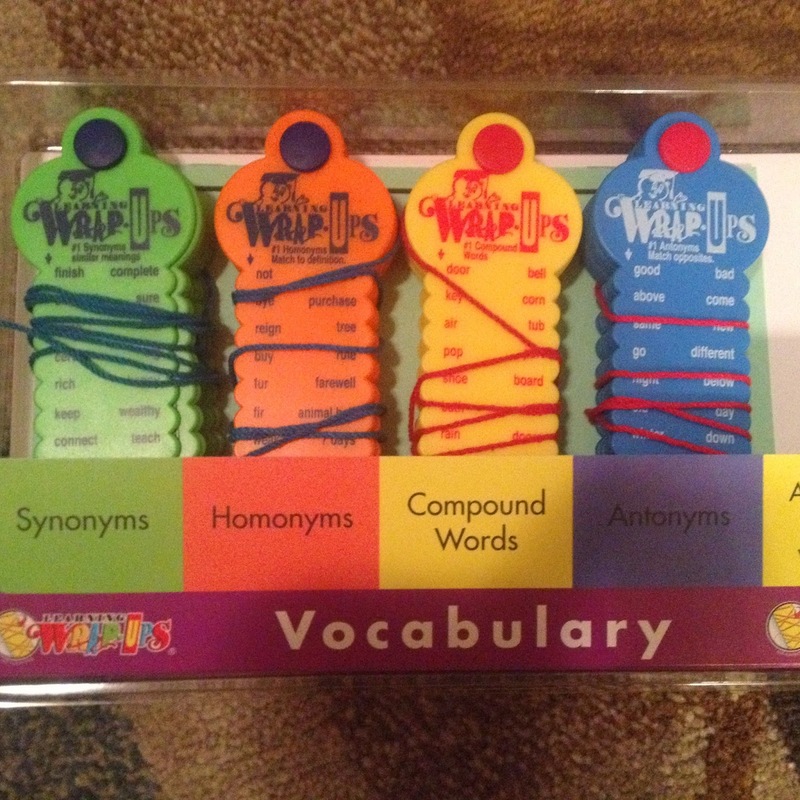 Learning Wrap-up Vocabulary Intro Kit is a set of Learning Wrap-ups that contains 4 different wrap-ups. The four topics covered are synonyms, homonyms, compound words, and antonyms. For synonyms you must match a word with the correct synonym; homonyms must be matched with the correct definition; for compound words two words must be matched to create a compound word; and for antonyms opposite words must be matched. 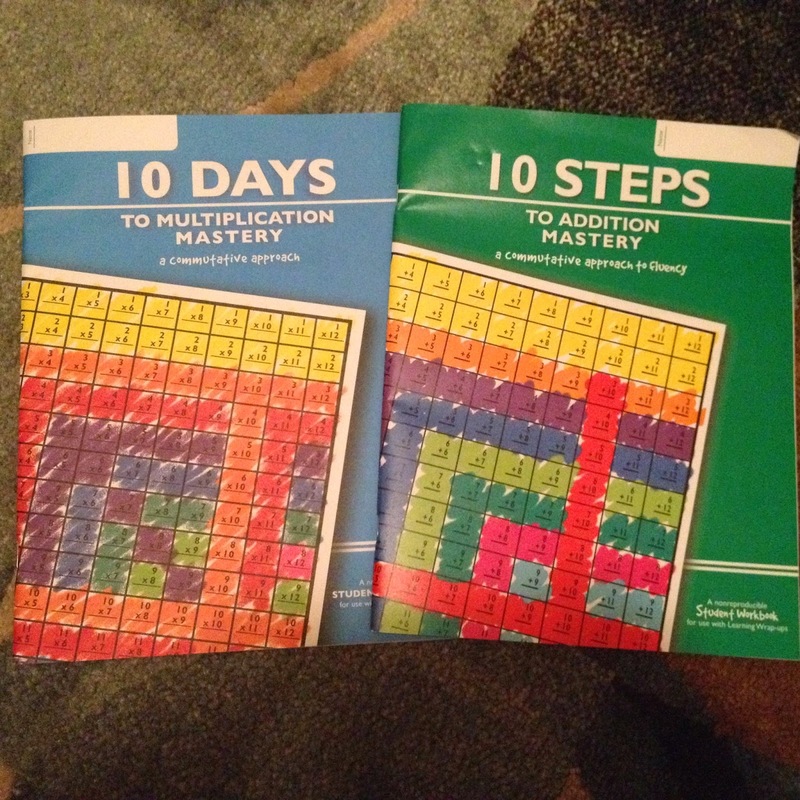 10 Days to Multiplication Mastery Book is a booklet with multiplication facts, word problems, and fun activities that promote mastery of multiplication facts. There are also instructions within the booklet to complete certain wrap-up keys as part of the lesson. 10 Steps to Addition Mastery Book is a booklet with addition fact practice, word problems, and activities to promote mastery of addition facts. Like the other booklet, there are also instructions when to use the addition wrap-up while working through the booklet. The two learning palettes were mostly used for Tiger who just finished Kindergarten but is doing much of his work on a first grade level (especially his math). Because some of the activity cards required some reading, I sat with him and helped him work through the various cards. I found that both Bee (PreK) and Ladybug (Preschool) were able to do a few of the cards with direction from me. They found a few of the simpler cards like the ones about beginning sounds or choosing the largest animal to be fun to do with me. Curly also enjoyed working on the cards by herself even though she is finished with 2nd grade. It was great review and practice for her. The learning wrap-ups were used by a variety of my kids too. Curly used the addition, subtraction, multiplication, and fractions math wrap-ups. She also used all of the vocabulary wrap-ups since she can read independently. Tiger and Bee were both able to do quite a few of the addition wrap-ups and Tiger did some of the subtraction facts. Tiger worked through the addition mastery booklet while Curly worked on her multiplication mastery. We usually worked on one of the products every day during our week, spending about 10-15 minutes on the products. As Curly became more familiar with the products she was able to help both Tiger and Bee as they worked, reading questions to them and providing guidance. The Learning Palette is such a neat idea! The hands-on and colorful aspect of the palette and cards made learning fun and interesting. My kids loved that they could work independently on many of the cards and they could check their answers by themselves by turning the cards over and making sure that all the colors matched up. The Learning Wrap-ups were also independent and self-checking, which is a component that I really appreciated. These were great for practicing the various math facts in a new way. I noticed that my kids were becoming more confident with the facts. The vocabulary wrap-ups provided a good discussion tool for Curly to understand the differences between homonyms, synonyms, and antonyms. Using them really cemented the concepts in her mind. 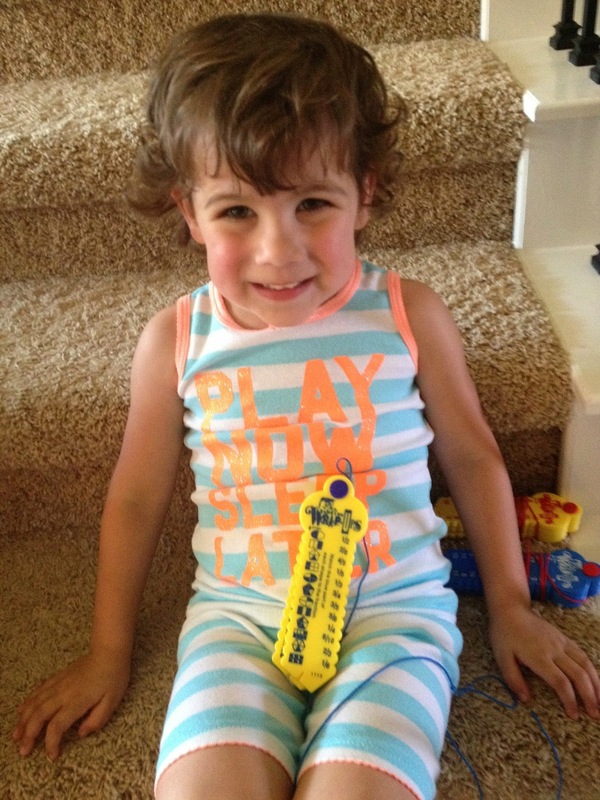 All of the products are sturdy and good for little hands. And the Learning Palette can be stored with a plastic cover on the top which holds in all the colored circles, keeping them from getting lost. In addition, all the curriculum cards and the palette are stored in a large plastic bag with velcro closure. I found the storing of them to be easy and convenient. I was really surprised at how much we enjoyed the workbooks. 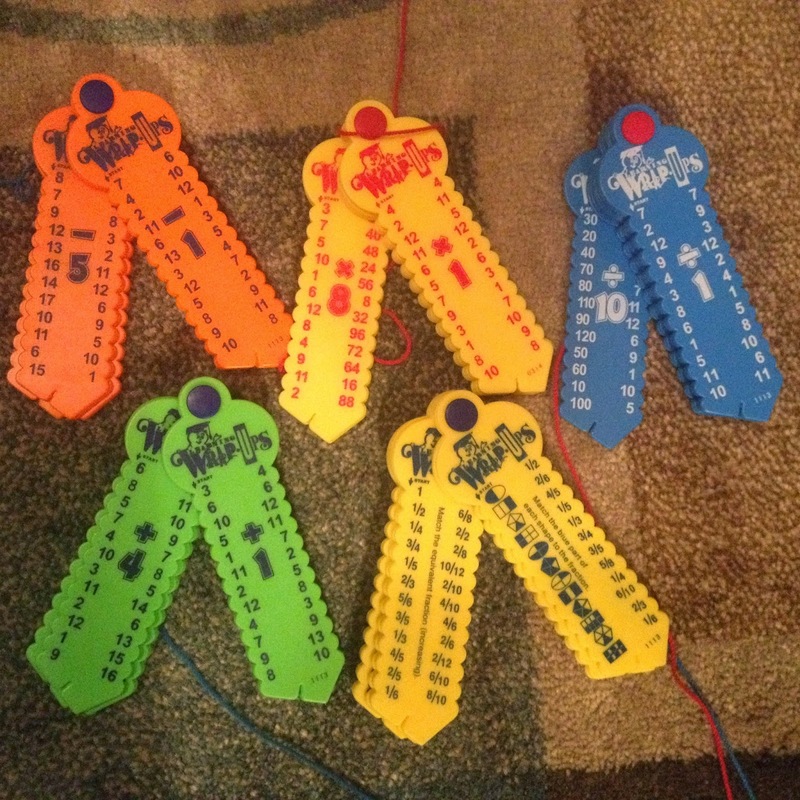 They were very simple and easy to use but contained a wide variety of activities to practice math facts. 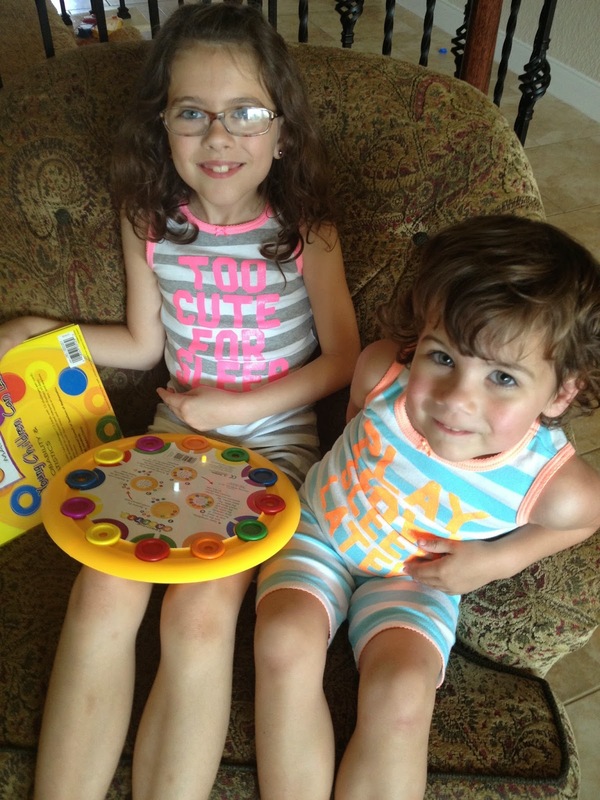 My kids found them interesting and they were very helpful in practicing math facts. These were such fun and innovative hands-on products that can be used together or independently with the ability for a student to self-check answers. I loved that my kids could practice different skills without my help and I found that they did improve their math and reading skills from these products. The products from Learning Wrap-ups are perfect for kids who like interactive and hands-on activities. Use HOMESCHOOL for a 20% discount!